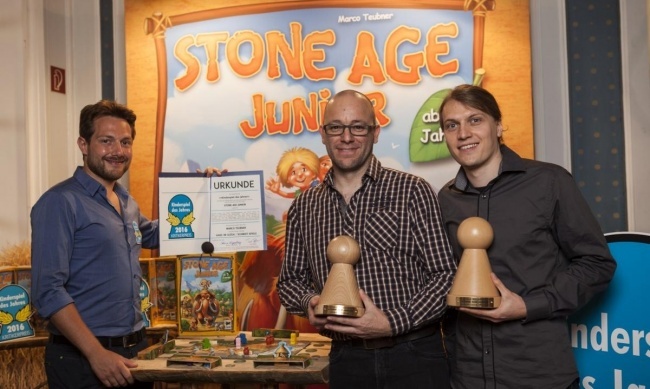 Stone Age Jr. was named the 2016 Kinderspiel des Jahres winner, the Best Children’s Game category for the prestigious German game design competition. The game is designed by Marco Teubner, and released by Hans Im Gluck. 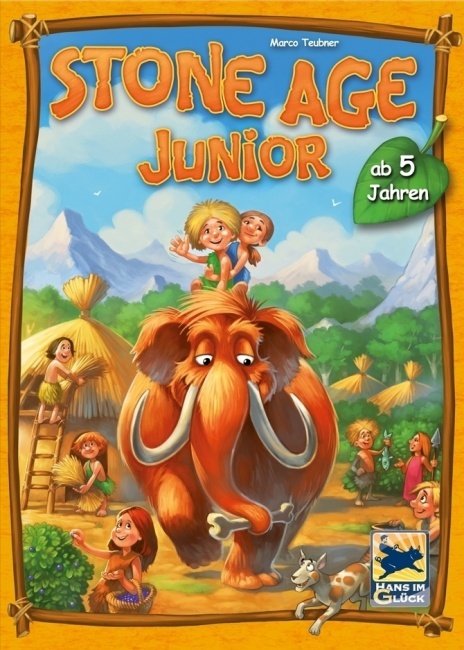 The game is published in North America as My First Stone Age from Filosfia Editions’ Z-Man Games (see “ Z-Man Digs Up the Past”). In the game, players collect and trade for goods, as well as build their own village. The player who successfully collects the correct raw materials to build three houses wins. The game is for 2 - 4 players, ages 5 and up, and plays in 15 minutes. 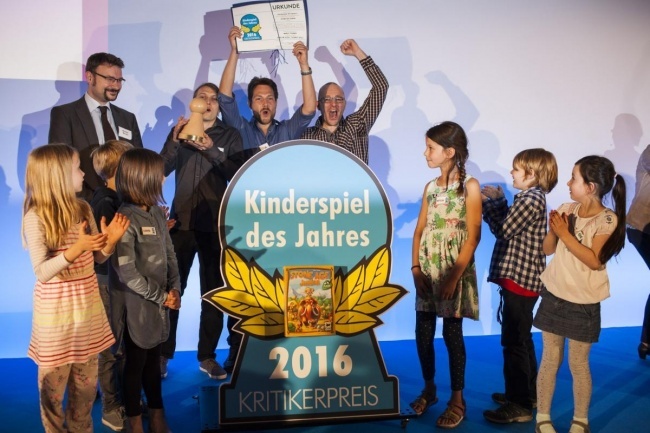 The winner of the Spiel and Kennerspiel will be announced on July 18 (see “2016 'Spiel Des Jahres' Nominations”).